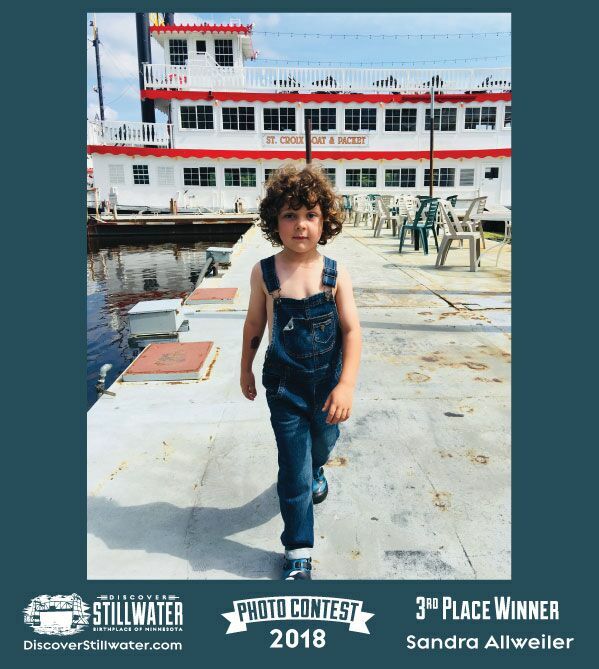 Stillwater, MN – Discover Stillwater’s 6th annual summer photo contest has announced the winners. 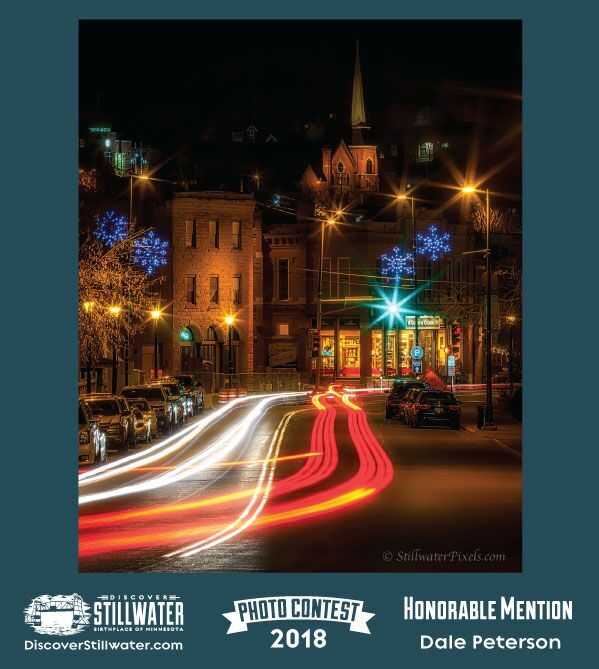 There were 332 entries this year showcasing a variety of stunning scenes of the Stillwater area. 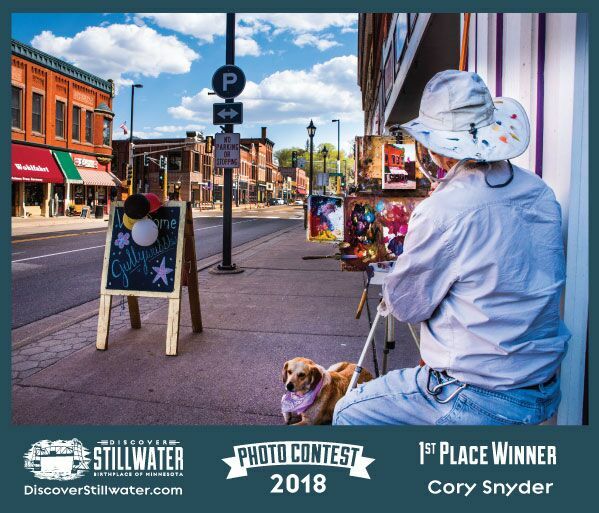 The Stillwater/Oak Park Heights Convention & Visitors Bureau Board of Directors selected the 1st, 2nd, and 3rd place winners: Cory Snyder won first place with the capture of a an artist creating a live painting on Main Street, Carrie Miller took second place with an image of three hot air balloons hovering close to the river, and Sandra Allweiler took third place by capturing the Americana feel of Stillwater with an adorable young boy in overalls departing the riverboats. The top three winners will receive cash prizes of $300, $200, $100. 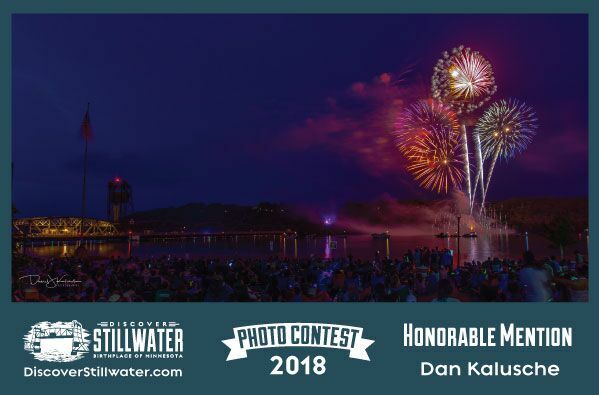 Honorable Mentions were also given to photos by Dan Kalusche, Dale Peterson, Emilie Canton, and Karen Schulz whose images snapped the modern feel of new hotels on Main Street, historic bridge new color transformation, the 4th of July fireworks tradition, and the nighttime beauty of downtown on a cool winter evening. 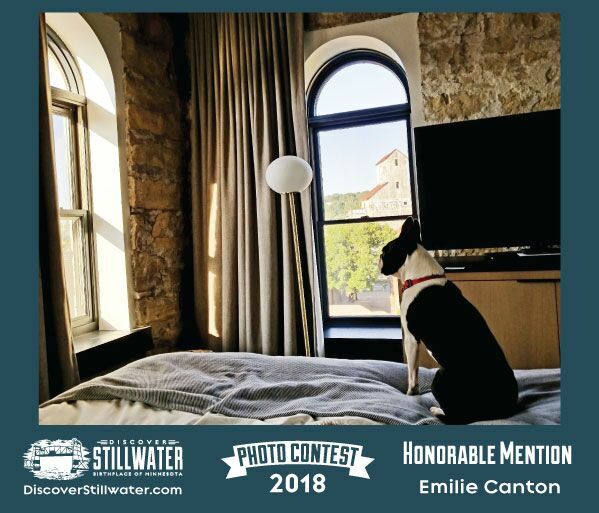 Stillwater visitors, locals, and fans took part during September by voting online for the Popular Vote category winner. 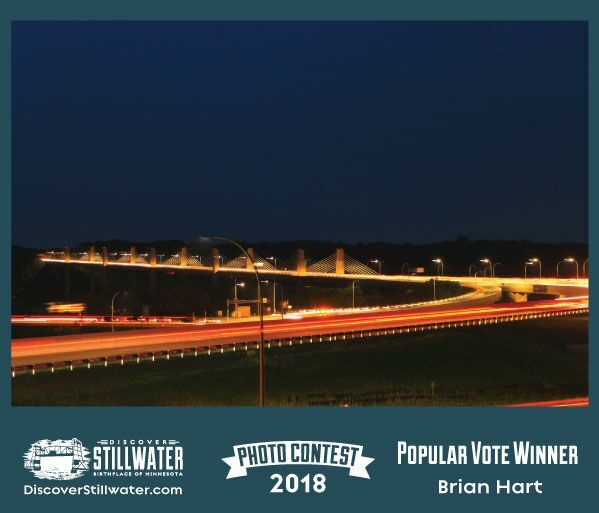 The winner selected by the public was Brian Hart whose photo highlighted the new St. Croix Crossing bridge at night. Brian will receive a Stillwater Getaway Package which includes a night's stay at Lora hotel and gift certificates for attractions, restaurants, and shops: Lift Bridge Brewery, DIRO Outdoors bike rental, Stillwater Escape Room, Sawdust Savvy, Brick & Bourbon, Leo's Grill & Malt Shop, Charlie’s Irish Pub, Foodies on Foot tour, Mad Capper, Maple Island Brewing, Luya Shoes, Simply Chic, Stokes Jewelry, and Valley Bookseller. 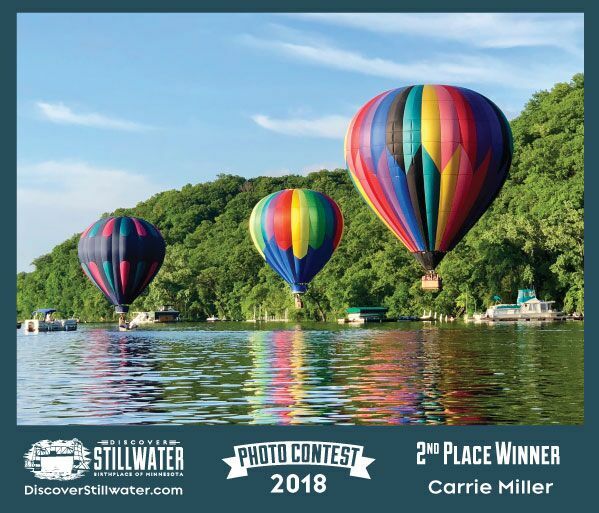 All winners will all also receive recognition on the DiscoverStillwater.com website, Discover Stillwater social media, and be showcased in the 2019 Official Stillwater Visitors Guide/Map. 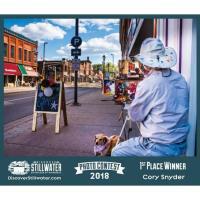 Official contest rules and past winners link available at http://www.DiscoverStillwater.com/photo-contest. 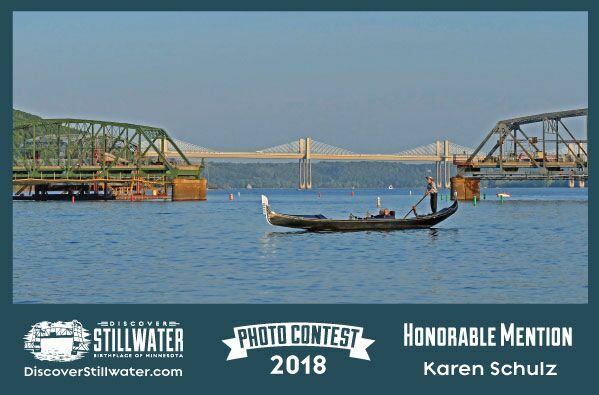 Stillwater is a popular tourist destination located just minutes from the Twin Cities of Minneapolis and St. Paul, on the scenic St. Croix River, and is considered the Birthplace of Minnesota.